If you’ve ever had an asthma attack (or being with a loved one during theirs), you know it is one of the terrifying experiences a human being can go through. Just the psychological impact of being unable to draw breath because of something that is going on inside your body with nothing you can do about it can be paralyzing just to think about. Many known issues can make an asthmatic person to go through an episode, and many of these causes are not entirely uncommon in most households. 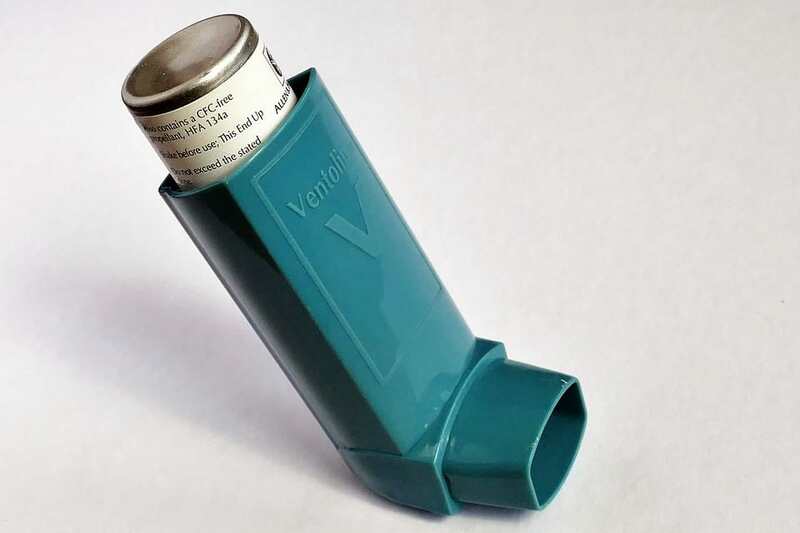 Pollen in the spring, mold, and second-hand cigarette smoke are all factors that will increase the likelihood of asthma attacks, and they can be seen to some degree somewhat regularly. Now, given the increasing awareness about the risks Radon gas presents to many an unsuspecting homeowner, it is not surprising that one of the leading concerns and questions I’m getting on a regular basis is “Can radon cause asthma?” Which is something I wanted to address? Also Read: Can Radon Cause Cancer? The short answer is simply, No. There’s no real conclusive evidence that Radon presence has a direct impact in facilitating the condition. However, that is not the same to say that radon and asthma don’t interact with each other in some ways, but before we go into that, let’s get some facts in order. Radon is a colorless, odorless gas, that results from the decay of radioactive material that naturally exists underground. As elements like uranium and thorium decay into lead, radon is released into the air, which is regularly okay since they are trapped below the surface. But when a fissure or other means of escape are presented, like pipping or terrain alteration for constructions, radon seeps into the air and can start accumulating on a structure, polluting the indoor air quality without its occupants ever really noticing before the physical symptoms that something is wrong starts to appear. Now, as I mentioned above, although there isn’t yet any conclusive evidence that radon could cause asthma, it is a well-documented fact that it can cause cancer, with over 21.000 cancer death attributed each year to radon presence or influence. Which is why it is considered to be one of the major health risk substances that can be found in your home. How does radon & asthma interact? When radon reaches dangerous concentration level in a home (4 pCi/L) there’s almost a guarantee that its inhabitants will inhale it on a regular basis. Radon gas in the air breaks down into tiny radioactive elements, called radon progeny, and these can lodge themselves in the lining of the lungs giving off radiation directly to the organs and damaging its cells. This accelerated organ deterioration can have a dramatic impact on someone who is already struggling with a respiratory illness, such as asthma or emphysema, and can be especially dangerous for people who smoke. The best preemptive measure you can take on the matter is to have your home tested for radon presence, many remediation techniques can be applied to any structure to mitigate and reduce radon concentration levels and make the place habitable, but these solutions only work if the problem is caught early on. Be on the safe side and run a testing kit on your home. Make sure you and your loved ones, especially those dealing with a condition like asthma, can rest assured without having further risk place in their health.